"Mode hunting through active information"
Evolutionary informatics weds the natural, engineering, and mathematical sciences. Evolutionary informatics studies how evolving systems incorporate, transform, and export information. The Evolutionary Informatics Laboratory explores the conceptual foundations, mathematical development, and empirical application of evolutionary informatics. The principal theme of the lab’s research is teasing apart the respective roles of internally generated and externally applied information in the performance of evolutionary systems and capabilities of humans that exceed computation. Donations support our ongoing research into Evolutionary Informatics. We are a federally registered non profit organizations so your donation may be deductible. Intelligent design is the study of patterns in nature best explained as the product of intelligence. So defined, intelligent design seems unproblematic. Archeology, forensics, and the search for extraterrestrial intelligence (SETI) all fall under this definition. In each of these cases, however, the intelligences in question could be the result of an evolutionary process. But what if patterns best explained as the product of intelligence exist in biological systems? In that case, the intelligence in question would be an unevolved intelligence. For most persons, such an intelligence has religious connotations, suggesting that it as well as its activities cannot properly belong to science. Simply put, intelligent design, when applied to biology, seems to invoke ‘spooky’ forms of causation that have no place in science. Evolutionary informatics eliminates this difficulty associated with intelligent design. By looking to information theory, a well-established branch of the engineering and mathematical sciences, evolutionary informatics shows that patterns we ordinarily ascribe to intelligence, when arising from an evolutionary process, must be referred to sources of information external to that process. Such sources of information may then themselves be the result of other, deeper evolutionary processes. But what enables these evolutionary processes in turn to produce such sources of information? 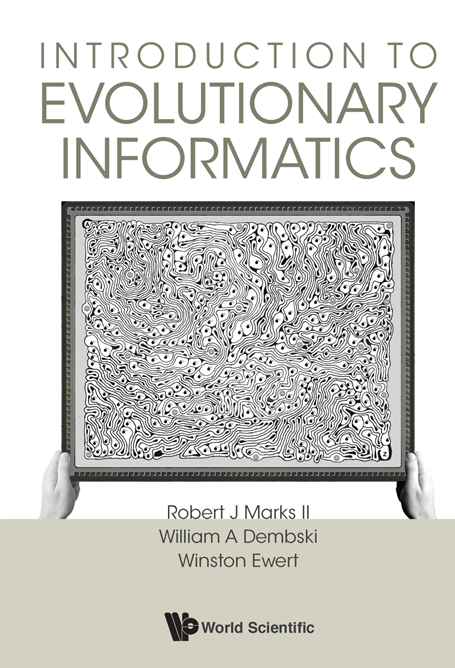 Evolutionary informatics demonstrates a regress of information sources. At no place along the way need there be a violation of ordinary physical causality. And yet, the regress implies a fundamental incompleteness in physical causality's ability to produce the required information. Evolutionary informatics, while falling squarely within the information sciences, thus points to the need for an ultimate information source qua intelligent designer. A web-based simulation of Dawkins' Weasel. Do the mere presence of replication, mutation and selection guarantee success in a search? If not, what fraction of all possible fitness functions lead to success? How likely are we to stumble across a successful fitness function if we initialize one at random? The free simultation lab allows users to answer these questions and more. Simply set up your experiment, choose (or optionally design) your fitness function and record your results. Minivida is a simplified, online simulation of Lenski et. al. 's Avida. 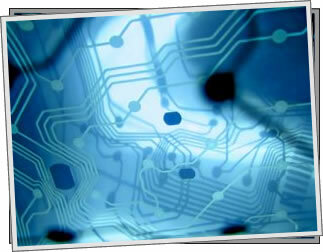 It allows the evolution and visualization of NAND-logic programs. With it, you can learn how the choice of rewarded tasks and instructions affects the ability of locating EQU operations. Does the process of mutation and selection alone allow the evolution of complex operations or is the presence of stair step information necessary in order to guide the process? Run the simulation and see what role user-supplied information plays in the discovery of complex features. EvoInfo videos related to evolutionary informatics. Peer reviewed papers from conferences and journals. We need your help. Support our ongoing research.